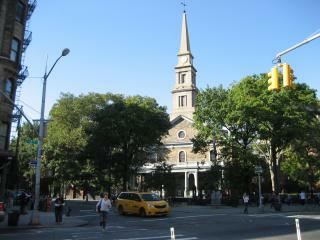 St. Mark’s Church in-the-Bowery, the oldest site of continuous worship in New York City and the second oldest church in Manhattan. Not only is the St. Mark’s campus a beautiful collection of buildings and burial grounds, its unique and interesting history is quintessential New York. The site is officially listed on the National Register of Historic Places and was designated a New York City Landmark in 1966.